London’s left-wing mayor Sadiq Khan has said that neither independent Vermont senator Bernie Sanders, nor any of the Democrats who have announced a run for president, will beat incumbent Donald J. Trump in 2020. “I think the next president hasn’t declared yet,” Mr Khan said in an interview with HuffPost UK published Tuesday. Amongst the Democrats who have thrown their hat in the ring that Khan has dismissed includes former Texas congressman Robert ‘Beto’ O’Rourke. 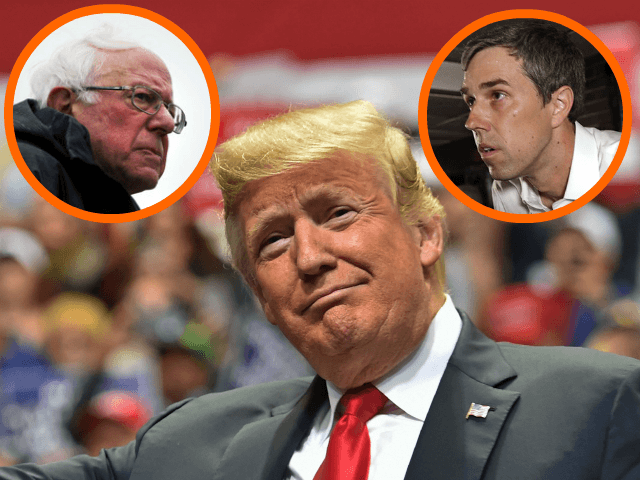 Mr O’Rourke, married to a real estate heiress, launched his presidential campaign last week and has come out in support of socialist Rep. Alexandria Ocasio-Cortez’s Green New Deal and third trimester abortions if women want them. Aware that champagne socialists lack the common touch, Mr Khan went on to advise any progressive Democrat planning to run against President Trump that they would need to work to develop an “emotional connection” with the average American.